I travelled up to Cambridge through the most amazing storm the night before Harriet and Oli's wedding. Thankfully, in the morning all was calm. The only sign of any bad weather was the men bailing out the punts along the river, ready for a busy day. 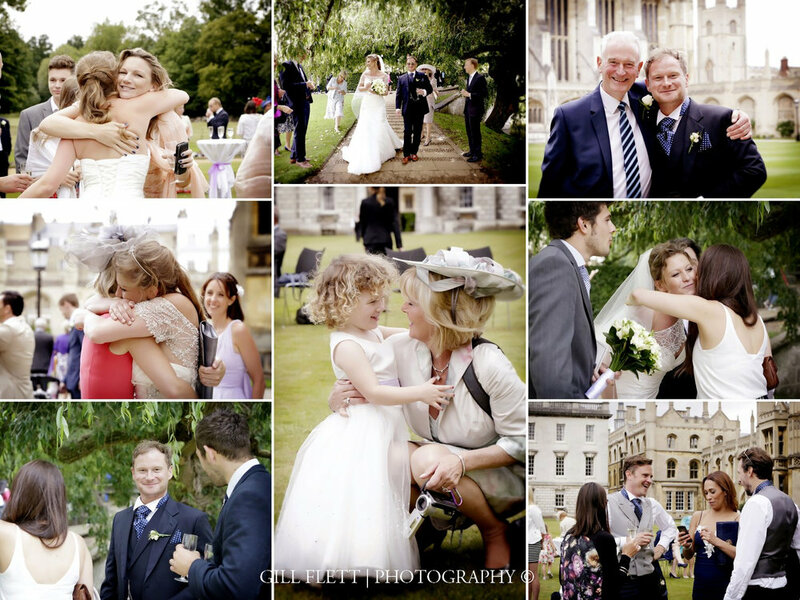 Harriet and Oli had their wedding ceremony at the stunning Queen's College Chapel in Cambridge. It was such a beautifully personal ceremony. Afterwards, the newly married couple walked across the famous Mathematical Bridge to their Punt. This is not as easy as it sounds - especially in a dress! The Reception was held at equally stunning, King's College Cambridge - just next door. The imposing tall ceilings and ornate detail made for the most stunning backdrop.